One of the hardest aspects of a fast or strict dietary regimen is avoiding tempting sweets and finding acceptable substitutes for dessert courses. This is especially hard on kids. 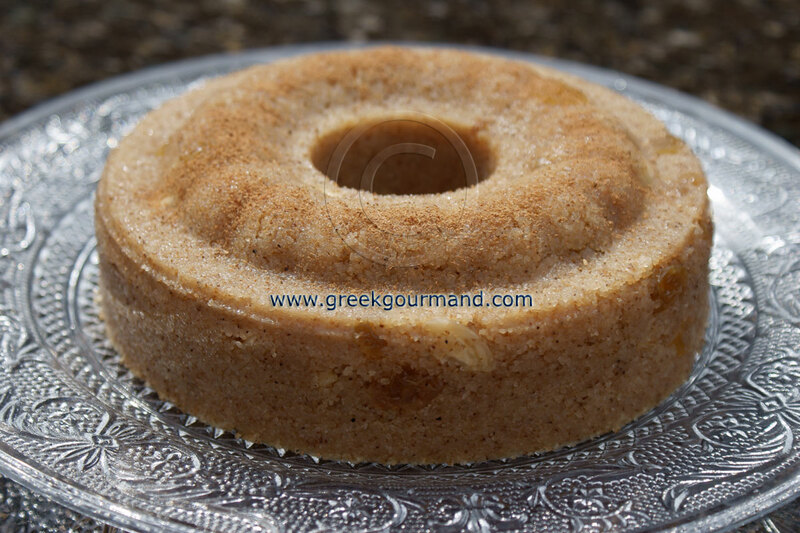 Confections like this one are popular amongst Greek families during the Lenten period. I simply loved this stuff as a child. Still do! There are probably as many variations on this recipe as there are Greek matrons with culinary opinions. My recipe is quite basic, feel free to add or substitute other elements like pine nuts, sesame seeds, walnuts, or whatever else tickles your fancy. A few drops of orange blossom water or even some lemon rind in the syrup could also be a nice touch. I should mention that not only are there numerous permutations for this recipe, there are also alternative preparation methods involving the oven, for instance. To add to the complexity of the matter, Greeks apply the term halva interchangeably to flour or nut-based (i.e. ground sesame seed or pistachio etc.,) versions of this confection. Thus much have I for you today on the topic of my Macedonian halva recipe. I hope you try it. If you know any Irish folk, give them a hug today. Greece and Ireland have a lot in common these days. Combine honey and water in a pan, and set to boil as our syrup. When it has boiled, set it to simmer while you prepare the semolina mixture. When the oil is hot, add the semolina to the pot and mix it continuously with a wooden spoon to brown the semolina thoroughly; try to keep it from smoking much, keep it moving in the bottom of the pan. About 6 – 8 minutes. Do not burn it. Once the semolina has been browned, use a deep kitchen spoon or ladle and gradually add the still-simmering honey-water mixture to the pot. Be careful, do not add it all at once and keep your hands away from the pot opening. Mix the thickening semolina mixture well and keep adding the syrup until it is fully absorbed then add the almonds and raisins, lower the heat to medium low and continue mixing well for a few more minutes. Spoon the mixture quickly into 2 small 6 inch spring-form jelly/cake moulds which you have pre-greased with olive oil, and then use a spoon to pat the mixture down well and evenly into each mould; take care to ensure a uniform and level finish. Set the moulds to cool. Turn out onto a service plate and sprinkle with cinnamon before enjoying. Desserts like this one are about getting back to the basics. Did I mention it is cholesterol free? This is one of my favourites!! =) I'm not sure about the name though... my understanding is that the one with semolina is called "halvas simigdalenios" and the one with tahini "makedonikos"
I may try this! I learned something new from you. I enjoy halva at breakfast with coffee. There is a good Greek restaurant here that makes it, my wife goes there at least twice a week. Cool Technique. Have you ever had Tres Leches? This halva looks like it could soak up a lot of milk as well. Made it (love the stuff) and it's probably the best halva recipe ever. It's a must make! Your blog is very informative. It is very interesting and i have enjoyed reading it. Thank you for sharing your ideas. I'm happy i found what i am searching for. I hope to try this very soon.